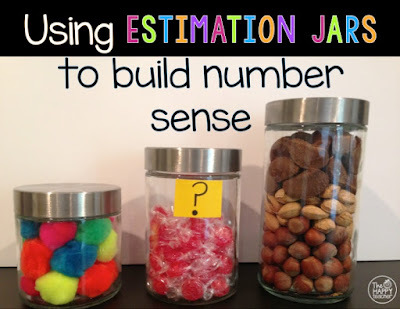 Do you use an estimation jar in your classroom? It is a fun & interactive way to build number sense. 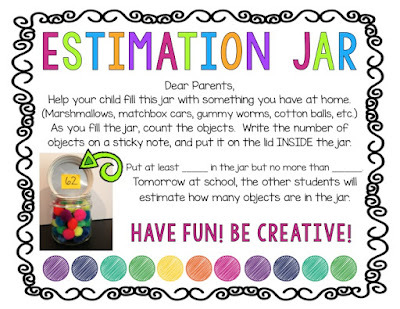 At the beginning of the year, I introduce the estimation jar. I fill it with something like Pom Poms, candy, erasers, bouncy balls, etc., and students guess how many objects are in the jar. We discuss what would be a good estimate...Does it look like there are 100 Pom Poms in the jar above? More or less? Does it look like there are 5 Pom Poms in the jar? More or less? As the kids make guesses, we reference the Hundreds Chart. We use a dry erase marker to circle the numbers so they have a visual when they are making estimates. For a few weeks, I'm in charge of the estimation jar. I experiment with the size of the objects inside the jar and how full the jar is. The most important aspect of building number sense is the DISCUSSION that takes place along with the "guessing." It is NOT blind, random guessing. I scaffold students' understanding, and I think aloud as students are making estimates. The math talk that happens during these few minutes of the day is amazing. The same discussion and scaffolding happens as the students take turns with the estimation jar. It's an activity that we do year round. The student that has the correct estimate gets to take the jar home. If they've already had a turn, they get to pick somebody who has not had a turn yet. I've done the Estimation Jar at various times throughout the day. Some years I do it as part of our "Calendar time." Other years, I do it directly after recess or lunch to get everyone settled. It's so fun and there is so much learning taking place! Win-Win! 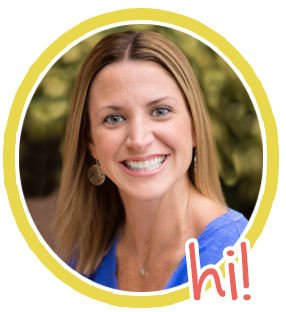 Download the directions/Parent Letter for FREE here!